Denver resident Shawn Miller is accused of several acts of criminal violence. On one occasion, he and an associate beat a pedestrian, leaving the man with a broken knee and a permanent physical disability. In a second assault, Miller and another buddy beat a disabled Iraq war veteran so severely --using both fists and clubs -- that he briefly "flat-lined" as EMTs treated him. The facts in those cases are not disputed, yet Miller has not been charged with a crime. However, he is being sued by Jason Anthony Graber, one of his victims. In light of Miller's documented history of criminal violence, the plaintiff's attorney has demanded that the assailant not be permitted to bring a firearm while being deposed. Miller protests that this is an unconscionable act of "oppression." With the aid of the Denver City Attorney, Miller -- an Officer with the Denver Police Department -- has filed a petition with the U.S. District Court seeking a "protective order" allowing him to be armed during the depositions. The Department's Operation Manual requires that officers be "armed at all times" -- a provision that poses some interesting challenges for officers who choose to bathe, assuming that there are any who do. "Requiring a uniformed or non-uniformed police officer to disarm when he is compelled to give a deposition at an attorney's office, or at any other unsecured location, presents a significant officer safety issue," whines an affidavit provided by Lt. Dikran Kushdilian of the Denver PD. Attorney David Lane, who is representing Graber, quite sensibly insists that some precautions must be taken in deposing people who are "defendants because they have acted illegally and violently toward others in the past." The Denver Police Department has a well-earned reputation for brutality and corruption, and Lane has deposed more than a few abusive cops, and those proceedings "can get very contentious. 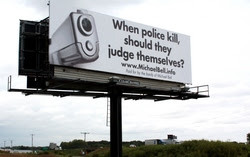 When I'm cross-examining cops about their misconduct, past and present, they get angry, and I don't wish to depose angry people who have a long history of violent behavior while they're wearing a gun strapped to their waist." Lane demands that the deposition take place in a setting in which neither side is armed. Denver's municipal government demands that the examination should take place at the federal Courthouse, where Miller and other officers in similar cases "would surrender their weapons to the custody of the U.S. Marshall [sic], and would be unarmed during the deposition." In other words, it's not quite the case that Denver officers have to be "armed at all times"; the critical issue is the preservation of the government's monopoly on the "legitimate" use of force in all circumstances. Lane should counter Denver's demand by offering to permit Miller to carry his firearm to the deposition, while specifying that he and his associates would also be armed. The official response to that counter-proposal would be instructive. While Lane most likely wouldn't choose that approach, he is sensible enough to recognize that the State's agents of armed coercion are the most dangerous element in society, and prudent enough to act on that understanding. 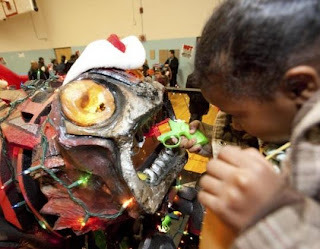 A splendid example of this deadly agitprop is offered by the "Toy Gun Bash," which was first inflicted on Providence, Rhode Island seven years ago by the criminal clique running the municipal government. Each year around Christmastime, children living in Providence are compelled to line up and feed their toy guns into the maw of the “Bash-O-Matic,” a device described by the Boston Globe as “a large, black, foam creature with churning metal teeth and the shape of a cockroach spliced with a frog.” In exchange for feeding their toy guns into this recombinant monstrosity, each child is given a substitute toy that is deemed to be suitably "non-violent." They are also forced to endure a harangue regarding "the dangers of playing with guns, real or fake." In fact, gun “buyback” programs are a form of what Dr. Edward J. Laurance of the UN’s Register of Conventional Arms calls “micro-disarmament” — or, more to the point, civilian disarmament. 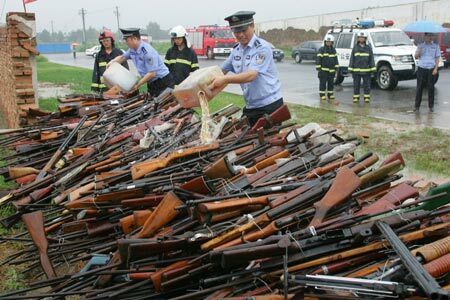 Gun “buyback” and turn-in programs are a common feature of military occupations, both here and abroad. 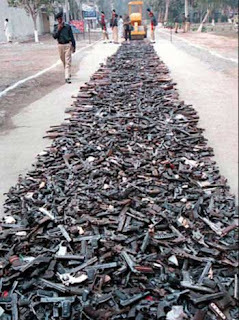 U.S. military personnel in Haiti, Somalia, the Balkans, Iraq, and Afghanistan have employed that tactic (as David Kramer notes, this helps the occupiers to acquire a useful hoard of “drop guns” that can be used to frame innocent people as “terrorists” or “insurgents"). 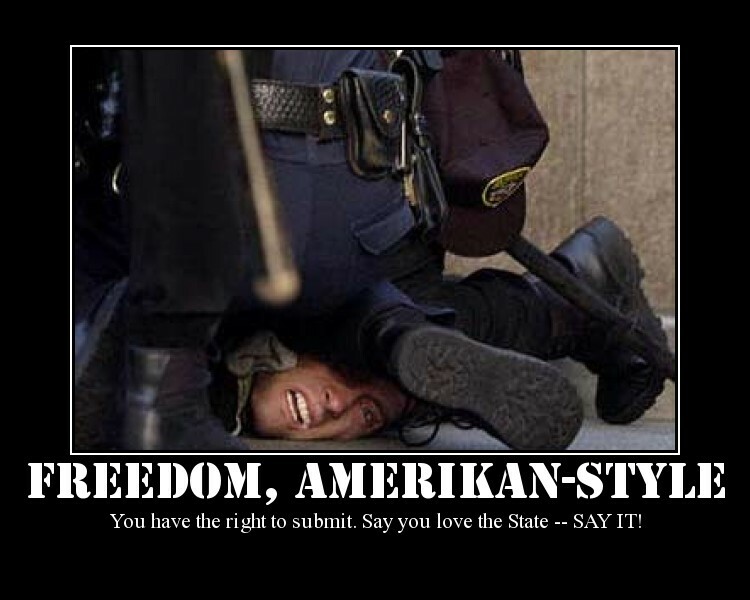 The same approach was used to disarm American Indians as they were cattle-penned on reservations. 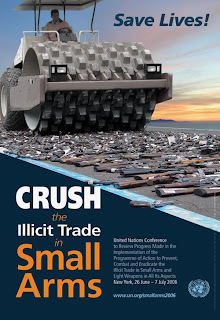 The UN’s campaign for civilian disarmament -- which, just like matters of national disarmament, is assigned to the world body's Office for Disarmament Affairs -- was inaugurated in 2000 as part of the “human security” agenda promoted by then-UN Secretary General Kofi Annan. 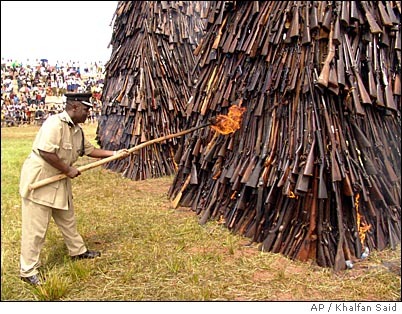 In late 1993 and early 1994, Annan -- who at the time was head of the world body’s “peacekeeping” operations -- presided over the disarmament, and subsequent annihilation, of roughly 1.1 million Rwandans. Most of the killing was carried out by machete-wielding mobs acting as government subcontractors. But it would have been impossible to butcher hundreds of thousands of armed people, nor would the mobs have been able to round up and annihilate the targeted population without the active support provided by the regime’s armies and police forces — you know, the armed agents of state violence who were there to “protect” those who were hacked to pieces. Children should learn what happened in places like Germany, Cambodia, and Rwanda (as well as places like Sand Creek and Wounded Knee) when people willingly surrendered their guns to their rulers — but a government school classroom is no place for lessons of that kind. The same schools that use DARE programs to recruit children into the Pavlik Morozov Brigade consistently force psychotropic drugs on children who display unfortunate symptoms of non-conformity. 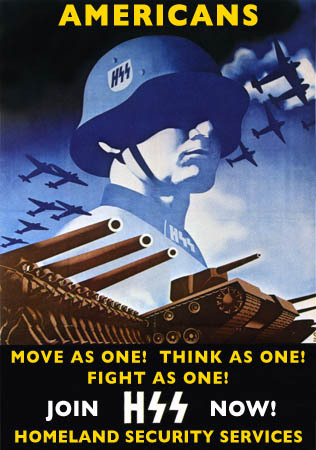 This principle applies to the issue of firearms: In the name of “Zero Tolerance,” children are routinely punished for such supposed offenses as bringing toy “weapons” to school (including -- I am not making this up -- candy canes), improvising them from school supplies, or even drawing pictures of guns, yet they are routinely encouraged to write letters to members of the imperial military who are “serving our country” by killing people who have done us no harm. "When you put that badge on, there are people who want to kill you," intoned Officer Wil Germonsen, who -- like a large and growing number of local police officers, has a military background. "After some time on the street, the recruits will never see the world the same way. They'll always be on guard -- carrying a gun on duty and off, checking out fellow shoppers at the grocery store, thinking about those worst-case scenarios while having dinner with the family. It's like a switch that flips on and never turns off...."
"I believe every single recruit here, when they put that badge on, they are warriors," insists Germonsen. "We're fighting a war." What this means, of course, is that the state-created armed tribe to which Germonsen belongs is an army of occupation -- primed to kill, given broad discretion in the use of lethal force, and trained to consider all of us who don't belong to their tribe as potentially lethal enemies. Some way had better be found -- and pretty damned soon -- to de-fang those wolves in sheepdog disguise. Meanwhile, it would be wise to do what we can to avoid placing ourselves at a potentially fatal disadvantage when dealing with those who belong to the Brotherhood of Sanctified Violence. "Many law enforcement officers called up to fight in Iraq and Afghanistan are finding it difficult to readjust to their jobs once home, bringing back heightened survival instincts that may make them quicker to use force and showing less patience toward the people they serve," reports the AP. A report compiled last year by the International Association of Chiefs of Police and the Justice Department's Bureau of Justice Assistance "warns that the blurring of the line between combat and confrontations with criminal suspects at home may result in `inappropriate decisions and actions — particularly in the use of ... force. This similarity ... could result in injury or death to an innocent civilian.'" Courtesy of commenter QB we see the following video of 27-year-old Seattle Police Officer Ian Birk gunning down John T. Williams, an artisan who was carrying a carving knife and a block of wood. No more than four seconds pass between Birk's demand (it wasn't a lawful order, because Williams was threatening no one) that he drop the knife, and the first of several gunshots fired by the officer. The entire encounter lasted roughly eight seconds. Williams had a troubled past, but was not known to be violent. He had some emotional problems and, most importantly, was functionally deaf -- which meant that he couldn't hear the demand that he drop his knife -- which was closed when photographed by crime scene investigators, despite Birk's claim that it was open at the time of the shooting. A peace officer in this situation would have taken at least a little more time to resolve the situation without drawing his gun, let alone discharging it. But, as we've seen on numerous occasions, contemporary law enforcement officers are on a war footing, which means that their default setting is "overkill." It's worth noting that one of the officers who responded to Birk's "shots fired" report tells him that he did the "right thing" -- even though the official review subsequently ruled that the shooting wasn't justified. "What are you doing here?" Paul asked the armed stranger who had materialized outside his workplace. "Just keeping you safe," replied the interloper, who had invaded the property without invitation or explanation. Paul (who asked that his last name not be used) was the only employee who saw something amiss as the Homeland Security officer busied himself peering into windows and doorways, taking pictures, and making notes on a clipboard. Understandably annoyed by the functionary's unwarranted intrusion and patronizing reply to his question, Paul continued to demand an explanation. The visitor persisted in his Oracle at Delphi routine, offering cryptic, dismissive responses to Paul's questions. Through sheer tenacity Paul managed to obtain a business card identifying the visitor as Mark Cerchione. His title is -- take a deep breath -- Inspector for Region 10 of the East Command for the Department of Homeland Security's National Protection and Programs Directorate, Federal Protective Service. This vital human cog in the State's apparatus of public order has an office located at 550 West Fort Street, Room 370 in Boise. Roughly an hour after Paul's encounter with Mr. Cerchione, and about fifteen minutes after Paul related it to me, I contacted Mr. Cerchione on his cell phone. They come in black, too. "That's very interesting," Mr. Cerchione replied when I identified myself as a writer in Idaho who had been told that a Homeland Security official had paid a visit to an appliance repair company in Boise. "I'm not allowed to talk about specifics but I can refer you to the regional office in Seattle. This was just a normal, routine procedure -- nothing special." 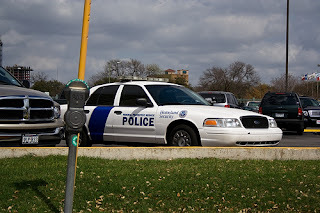 "It hardly seems `routine' for the Department of Homeland Security to pay a visit to a workplace," I commented. "Look, this was just a normal part of my day," insisted Cerchione. "Asking me about this is like asking a Boise City police officer why he looked in on a construction site." "But you're not a Boise police officer -- you're a Fed," I pointed out, leaving aside the fact that a similar unannounced visit from a local cop could likewise be cause for concern. "That makes this newsworthy." "Well, I can't comment about this, but I'd be happy to put you in touch with the office in Seattle," he repeated, promising to do so in exchange for my contact information. From what I've been able to learn,* Mr. Cerchione is an Idaho native who served briefly in the Army as a military police officer before being employed by the Idaho Falls Police Department. He also worked as a security guard at the Idaho National Laboratory in Arco. Cerchione's most recent position prior to signing on with the DHS appears to have been with Securitas, a private insurance company that in 1999 acquired the Pinkerton Agency (which rose to prominence as Abraham Lincoln's wartime secret service). On the basis of our brief phone conversation, Mr. Cerchione strikes me as affable and quite professional -- exactly the kind of decent, competent person upon which every secret police bureaucracy relies. Think of it for a second: What kind of government refers to its subdivisions as "Directorates"? 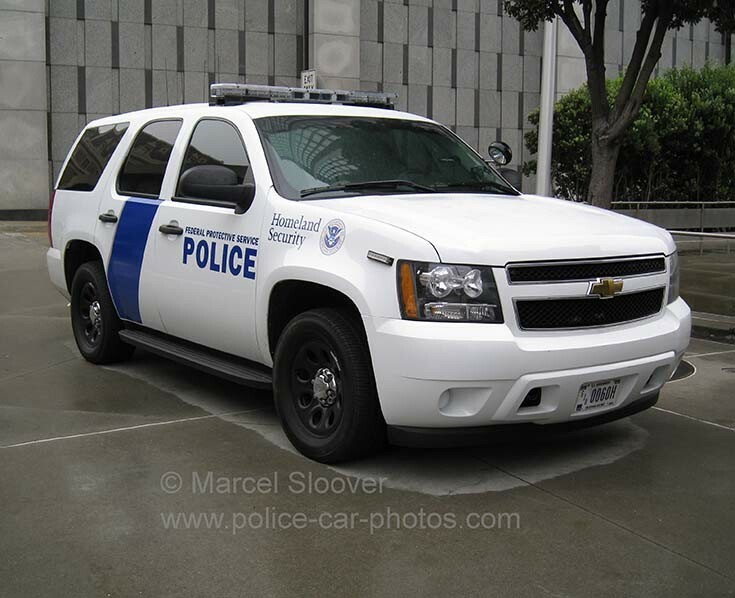 That designation is as alien to the American political vocabulary as -- well, the expression "Homeland Security" itself. The term "Directorate" makes a much better fit for the components of the Soviet secret police, whether known as the Cheka, KGB, or FSB. The subdivision of the American Cheka that employs Mr. Cerchione is the DHS's equivalent of the KGB's Ninth Chief Directorate, which supplied bodyguards for the CPSU's ruling elite and maintained security at significant government installations. In fact, the current version of that Directorate under the FSB (the re-named KGB) has exactly the same title as its American counterpart: Federalnaya Sluzhba Okhrany, which in English is generally rendered "Federal Protective Service." The workplace visited by Mr. Cerchione is located next to the offices of the Natural Resource Conservation Service, an outpost serving various federal regulatory agencies. It's impossible to believe that Boise plays host to a Jihadist sleeper cell that covets an opportunity to attack the Natural Resources complex. It is marginally more believable that the bureaucracy stationed therein could provoke the hostility of some over-taxed, over-regulated productive citizen. What this means, in any case, is that Mr. Cerchione -- who, remember, is employed by a Directorate tasked with protecting federal personnel and buildings -- wasn't there to keep Paul and his fellow members of the productive class "safe"; he was there to surveil them as potential threats to the safety of the tax-consuming class. And by his own account, this is part of his "normal," everyday routine in the service of the Homeland Security Cheka, which presides over a vast and metastasizing surveillance state. "If you see something -- say something," commands Commissarina Napolitano from Wal-Mart telescreens across the Rodina. Citizen Concepts, one of the ever-expanding school of corporate remoras battening onto the Homeland Security leviathan, has introduced a so-called "Patriot App" for the iPhone that will simplify things for informants by permitting them to interface directly with the hive mind. (Among its corporate "goals," Citizen Concepts lists "decreasing variance in human behavior to mitigate risk and error" -- or, rendered into intelligible language, eliminating non-conformity as a threat to the public interest). Did some vigilant citizen detect dangerous levels of non-conformity on the part of someone in Paul's workplace, and do his duty to the Collective by summoning the Federal Protective Service? We don't know, and those who do know refuse to let us in on this critical state secret. 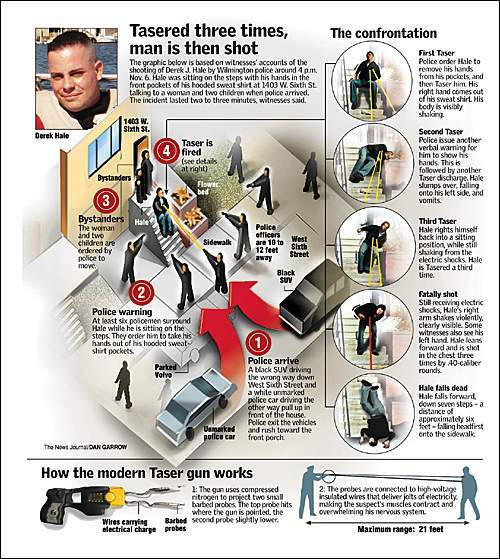 But this is exactly what happened to Boise resident Dwight Scarbrough four years ago. Mr. Scarbrough, a scientist employed by the U.S. Forest Service, is a retired Navy veteran and outspoken peace activist. 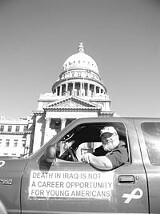 During the early years of the Iraq war, Scarbrough made himself commendably conspicuous by adorning his pickup truck with signs and stickers demanding an end to that atrocity and the prosecution of the criminals responsible for it. By expressing sentiments of that kind as emphatically as possible, Scarbrough provoked criticism from some fellow employees. Complaints about Scarbrough's protest stickers led to an admonition from his supervisor that he bowdlerize one bumpersticker seen by some as borderline obscene (the strip contained the inventive neologism "BUSHIT"). Since he wasn't interested in giving needless offense, Scarbrough did as his supervisor recommended. But his gesture apparently didn't placate Scarbrough's co-worker, who remained aggrieved by the peace activist's unabashed displays of non-conformity. On February 7, 2006, Scarbrough received a phone call at work from a man identifying himself as an officer with the Department of Homeland Security. The officer informed Scarbrough that he was in violation of the Code of Federal Regulations, and risked receiving a citation unless he met the officer in the parking lot of the federal building where he worked. "I grabbed a friend to be a witness, and took along my tape recorder," Scarbrough recounted to Pro Libertate. "When we got down there, there were two officers, both of them large, armed young men. One of them made a point of separating my friend from me, as if the two of us -- guys in our 50s -- constituted some kind of threat. He kept my friend twenty feet away from me, holding his arms out as if performing some kind of crowd control out of fear that we would overpower them." "Officer R.," the agent who had called Scarbrough, "was a very large guy. I'm a sizeable fellow myself, but he dwarfed me; he was probably close to 6'5" and had to weigh something on the far side of 300 pounds." The agents "were in uniform -- military-style blouses with shoulderboards, badges with Homeland Security insignia, and sidearms." Since it seemed as if the two Chekists were primed for a confrontation, Scarbrough -- who recorded and transcribed the entire encounter -- made a point of sitting down at a table "so there was no way I could be a threat," he explained to me. Officer R: Step back here, please. Scarbrough: Let's have a seat. Officer R: I'd like to talk to you. Officer R: Sir, come over here please. Scarbrough: I don't want to come over there. I want to sit down. Apparently thinking it wasn't worthwhile to press the point, Officer R. told Scarbrough that he was in violation of a provision of the Code of Federal Regulations dealing with "posting or affixing signs, pamphlets, handbills, or flyers on federal property." Scarbrough had done nothing of the sort; the materials described by Officer R. were affixed to Scarbrough's privately owned vehicle, which was in the parking lot of the federal facility where he worked. For a minute or two, Scarbrough -- who had already discussed matters of this kind in detail with his supervisor -- tried to reason with the obstinate, concrete-headed Chekist, to no avail. "I've just given you an order and told you to remove those signs from the property," he growled. Following several additional minutes of fruitless dispute, Scarbrough relented, moving his car into a privately owned parking lot next door. This act of armed bullying was also an exercise in content-based political censorship. No similar threats were ever made against any of the dozens of people -- including employees -- who parked in the same lot with bumper stickers expressing support for the Bush administration, the Iraq war, and opinions on other contentious political subjects. 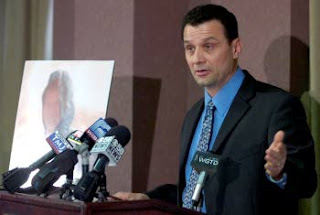 Scarbrough took his story to the press, and his case to the ACLU. Public exposure of the incident caused the valiant defenders of the sacred Homeland to take refuge behind locked doors. When a reporter for the independent Boise Weekly, which broke the story, tried to speak with someone at the Boise office of Homeland Security, "a woman emerged from a nearby cubicle and spoke to me through a tennis-ball-sized hole in the window. She would not confirm the name or identity of the officers, nor their badge numbers...."
The reporter for the Weekly contacted an official of the U.S. Marshals Service, who confirmed the essentials of Scarbrough's story -- and then "referred me to the Department of Homeland Security's media spokesman in Texas" for any further details about an incident that had occurred thousands of miles away. This makes a certain kind of sense, once one understands how matters of this kind are handled in a Soviet-style centralized bureaucracy. After going public, Scarbrough resumed parking in his accustomed space. Eventually the matter was dropped entirely. In retrospect, Scarbrough told Pro Libertate, "I should have taken the citation and challenged it in court. The attorney at the ACLU told me that `this is the kind of stuff we live for,' but the matter was moot because no citation was ever issued." Four years ago, Scarbrough's experience struck those who learned of it as an anomaly, a bizarre instance of overkill. Paul's encounter with his friendly neighborhood Chekist illustrates that invasive and intimidating federal surveillance has become -- to use Mr. Cerchione's expression -- a "normal, routine procedure" for those of us sentenced to live in the contemporary Homeland Security State. *I sent Mr. Cerchione an e-mail seeking confirmation of his biographical information; a day later, I had received no reply. Thanks for your help in keeping Pro Libertate on-line; God bless! Derek with his wife, Elaine. The practice of police "accountability" generally consists of using money stolen at gunpoint to buy off victims and survivors of officially sanctioned criminal violence. 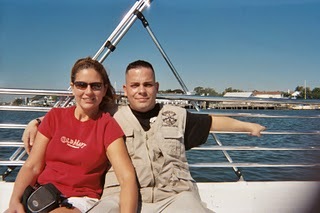 Few better examples can be found than the $975,000 settlement paid by the City of Wilmington, Delaware, to Elaine Hale, whose husband Derek was murdered by Wilmington Police on November 6, 2006. The settlement brings to an end a federal lawsuit that was scheduled for trial next July -- more than four years after Derek, a Marine veteran who served two tours in Iraq, was shot three times at point-blank range after being tasered seven times within the space of about a minute. Unarmed and cooperative, Derek was not a criminal suspect and had done nothing to justify arrest, let alone summary execution. Pay-offs of this kind are part of a ritual of self-exculpation in which the police and the local criminal clique they serve loudly proclaim their complete innocence, even as their cynical actions offer eloquent testimony of their guilt. William S. Montgomery, one of the palace eunuchs who serve Wilmington Mayor James M. Baker, performed his role perfectly. 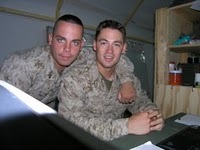 Serving the Regime that would later kill him: Derek in Iraq. "We were very confident in our case and know that our officers acted properly and professionally," lied Montgomery in announcing the settlement, which -- as he went on to say -- meant that the supposedly rock-solid case would be spared "the inherent risk of a jury trial." Fortunately, Montgomery pointed out, the risk of a trial was "eliminated for less than the cost of defense." Through the miracle of socialized municipal risk management, nobody will face accountability for the extra-judicial killing of a 25-year-old husband and father of two stepchildren who had celebrated his first wedding anniversary just days before he was murdered. Shortly after receiving a medical discharge from the Marine Corps, Derek joined an "outlaw motorcycle club" called the Pagans. In November 2006, Derek and some friends from the club made a run from Virginia to Wilmington as part of a Toys for Tots promotion. Derek didn't know that for more than a year before he joined the club the Pagans were the subject of a Delaware State Police investigation. Derek was house-sitting for a friend on the day he was murdered. Sandra Lopez, the soon-to-be ex-wife of Derek's friend, arrived with an 11-year-old son and a 6-year-old daughter early in the afternoon to remove some personal belongings. Derek -- wearing a hooded sweatshirt -- was sitting quietly on the front porch of the home when an unmarked police car and a blacked-out SUV arrived at around 4:00 PM and disgorged a thugscrum of 8-14 heavily armed police. According to eyewitnesses, the officers were dressed in black, and displayed no police insignia of any kind. Click to enlarge. Note: Derek was Tasered seven times. At the time, Lopez and her children were standing behind Derek on the small porch, which was at the top of a short stairway. The armed strangers ordered the woman and her kids to move away from Derek, who by this time had risen to his feet. One of the cops ordered Derek to remove his hands from his sweatshirt. No more than a second or two later, according to eyewitnesses, he was hit with the first of what would be seven Taser strikes. The Taser blast knocked Derek sideways and sent him into convulsions. His right hand involuntarily shot out of its pocket, clenching spasmodically. Ordered to put his hands up, Derek struggled to comply, but found himself paralyzed. So he was struck with a second Taser blast that drove him to the side and induced him to vomit in a nearby flower bed. 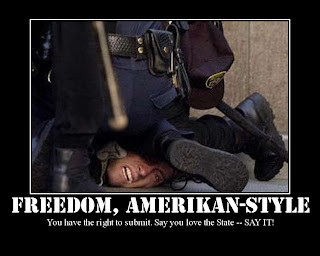 So they tased him again. "That's not necessary!" exclaimed eyewitness Howard Mixon, a contractor who had been working nearby. "That's overkill! That's overkill!" One of the bold and brave paladins of public order swaggered over to Mixon and threatened him: "I'll f*****g show you overkill!" snarled the barely literate tax-feeder. Meanwhile, Derek -- left to wallow in a puddle of his own vomit -- was trying to comply with the demands of his assailants. Few things bring out the raw courage of a cop like the sight of an unarmed and defenseless "suspect." Acting with the serene confidence that his victim couldn't harm him, Lt. William Browne of the Wilmington Police Department -- who was close enough to seize and handcuff Derek, if this had been necessary -- shot him at point-blank range, sending three .40-caliber rounds into his chest. In May 2007, Delaware Attorney General Beau Biden -- yes, the glorious outpouring of Vice Presidential loins -- issued a report vindicating Browne's actions. The report began by claiming that "the purpose of the Tasering was to overcome Derek Hale's resistance to the arrest so he could be taken into custody without injury to himself or to the officers." 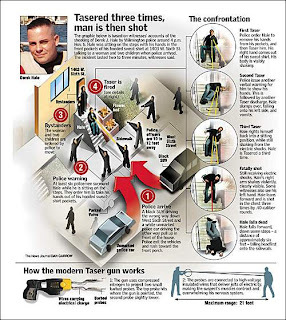 Leaving aside the fact that the Taser assault caused severe injury to Derek (as a coroner's report later confirmed), and also made it impossible for him to comply with police orders, every eyewitness to the murder who wasn't implicated in the crime insists that the victim never resisted arrest in any way. Furthermore, Thomas Neuberger, one of the attorneys who represented Derek's widow, pointed out that the Wilmington PD's departmental policy on Taser use does not authorize the use of that reliably lethal weapon on non-resisting suspects. Biden's report also claimed that Derek's “menacing” behavior -- which consisted of vomiting into a flowerbed while begging the police to get the kids out of harm's way -- led the timid creature known as William Browne to believe that "he was in immediate danger" and that "the use of deadly force was immediately necessary to prevent serious injury or death" to him or to one of his partners in state-sanctioned crime. No charges were filed against the individual who murdered Derek Hale. Shortly after Biden issued his report, Browne was promoted. This infuriating detail was merely filigree on the tapestry of mendacity woven by Delaware's "law enforcement community" to cover up the murder of Derek Hale. 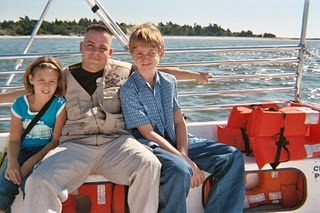 Derek with step-children Taylor and Garrett. In the years prior to the anti-Pagan crack-down by the Delaware State Police (DSP), the agency was besieged with lawsuits alleging civil rights violations, and subject to several ongoing corruption probes. Attorney Thomas Neuberger told me three years ago that DSP Commander Thomas MacLeish (or "Colonel Tom," to use Neuberger's not-at-all affectionate nickname), who was appointed to his post in 2005, made improving the agency's public image his highest priority. A high-profile campaign against a big, bad biker gang was just the thing to repristinate the department's image. The State Police operation eventually yielded a 160-count indictment, much of which was withheld from the public. After prosecutors had cluttered the air with lurid but vague allegations of "racketeering" and "gang activity," thirty-two Pagans were arrested on narcotics and weapons charges. The investigation came to a thoroughly anti-climatic end when a fewer than a half-dozen Pagans were charged with narcotics-related offenses. All of them were given deals that didn't involve prison time. Like six-year-old Aiyana Jones, who was murdered by police last May in a Detroit SWAT raid staged for TV cameras, and 21-year-old Las Vegas resident Trevon Cole, who was murdered by police (while trying to dispose of a misdemeanor-sized amount of marijuana) in a hotel drug raid that was also the outgrowth of a "reality TV" program, Derek Hale was a casualty of a police PR campaign. He didn't become a "person of interest" until after he had been killed. Immediately after the shooting, the DSP contacted the Virginia State Police and -- in a deliberate act of official perjury -- told them that the murdered Marine was a suspect in a narcotics investigation. Police from Delaware and Virginia barged into the Hale family's Manassas home, shoving aside a grieving wife and two devastated children in order to carry out a charade of a search in the service of an official fiction. The architects of this cover-up weren't content to terrorize Hale's devastated widow and step-children; they also traduced the character of the murder victim. On November 21, 2006, roughly three weeks after Derek's death, the DSP issued a breathtakingly dishonest press release alleging that the victim had "resisted arrest" and claiming that he "was at the center of a long term narcotics trafficking investigation which is still ongoing." Meanwhile, prosecutors frantically cobbled together the above-mentioned ominum gatherum indictment in the hope that somebody -- anybody -- connected to Derek would be charged with an actual crime. Now, three years later, the people responsible for the murder and cover-up have taken care of the final detail by paying off the victim's family at taxpayer expense. Derek grew up in Cape Girardeau, Missouri. 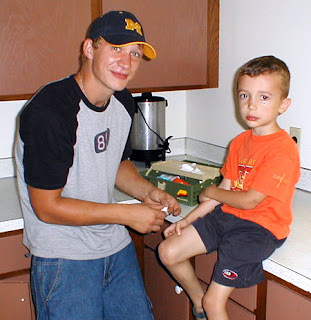 Shortly after he was murdered, a man who had known Derek in his childhood contacted me to express his outrage that a "responsible, respectful" young man of exceptional character could survive two tours of duty in Iraq, only to be slaughtered by a Death Squad here at home. "There is no way in hell he would have threatened a police posse," Derek's friend told me. "When I saw his obit in the local paper I thought he must have been killed in Iraq or something -- but alas our own home-grown terrorists took the life of an innocent man."